Full service design firm focused on creating spaces with young families in mind using a proven process of completing projects in a simple and efficient manner. We offer a collection of truly exceptional reproductions and original fine art paintings, murals and decor for children. Big Mural Kids features richly detailed, completely unique and exclusive designs that you will not find anywhere else. We provide ridiculously cool and crazy play spaces for the entire family! Wow! PlaySpaces creates adventurous indoor and outdoor destinations that are group play based, interaction focused and multi-age for family and friends to play together. Take your theme to the extreme, or chill with a more natural thrill. From backyard adventure lands to amazing family game rooms, attics, basements and kids rooms. 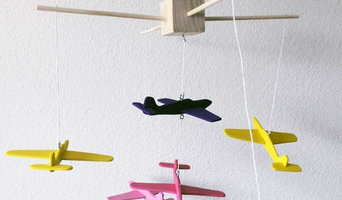 I design products to decorate aviation themed nurseries and children's rooms. 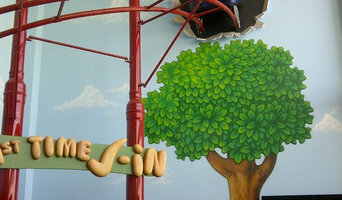 We manufacture wall stickers for children by pairing with international graphic designers and artists. High function meets high style in the Posh Play Mat! Chicly designed for in home use- arts and crafts, babies and kids' mealtime, and messy play. Also great for outdoor use at picnics and concerts. Made from beautiful faux leather in snakeskin and crocodile embossed textures. Also featured: Aztec, a custom graphic print from NYC artist Matthew Langille. Coordinates with the Posh Play Pad- a multi-use pad that makes a perfect placemat and crafts pad. All products are spill-proof and wipeable and can be monogrammed. Razzle Baby is excited to offer you an upscale line of baby supplies and products that embody a modern, retro, & classic trend all in one polished package. Our products are a result of our unique and eclectic style combined with the love of motherhood and the world of soft baby essentials. 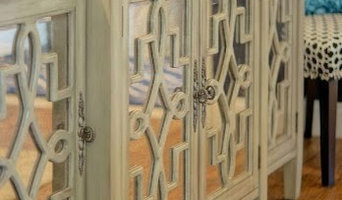 Bedazzled Baby & Kids has is the best in Dallas when it comes to Custom Bedding, nursery furniture and custom art work. We provide in home consultations for all your custom designs. We also have a selection of boutique style clothing and toys for your child. Healthy habits begin early and our award-winning, mom-invented products are designed to help children achieve good dental health and have fun doing it to help lower dental bills and reduce stress for moms! At Luna Lullaby, we have combined our own parenting and medical experiences with the expertise of leading experts in comforting and soothing infants. The result is a collection of top quality products, and the latest in educational advice all designed specifically for you and your new baby. What does an Addison kids room and nursery designer do? Most designers who specialize in decor for kids’ rooms and nurseries will tell you that a child’s room isn’t just for sleeping in. Little ones need a space where they can learn, play and sleep safely. Furniture, blinds and even lighting have to work safely for both you and your little one. Whether you’re hunting for small or large brands, make sure you chat with your Addison, TX designer to make sure that what you buy meets safety requirements. To choose kids’ furniture that will stand up to the rigors of active play, look for high-quality furniture that meets Texas standards. Make sure that each designer and manufacturer you work with is aware of any product recalls, dangerous materials and structural requirements. If you’re planning a larger project that goes beyond products, you might need to reach out to other qualified professionals for help. Here are some related professionals and vendors to complement the work of kids & nursery: Artists & Artisans, Furniture & Accessories, Interior Designers & Decorators. Find kids’ room and nursery professionals on Houzz. Narrow your search in the Professionals section of the website to Addison, TX kids’ room and nursery designers. You can also look through Addison, TX photos to find a room you like, then contact the designer who worked on it.